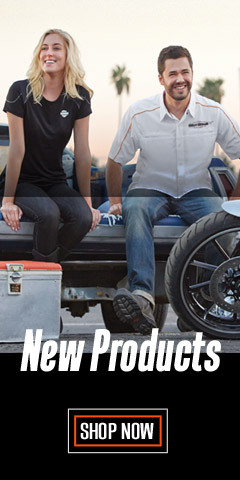 Gathered here are all the Harley-Davidson® shirt tops you’ll ever need for both men and women. With hundreds and hundreds of entries on dozens and dozens of different pages, we know there is something here for you. And, finding your gender and size is easy. Click on Men's or Women's Tops above, or look to the bottom left and narrow down the Gender to Men's, Women's or Unisex. If you don't care, just narrow for size, and/or/not for price, and/or/not for color. Play with the Narrow Result widget/selections - you'll get the hang of it in a few seconds. Easy-Peasy. 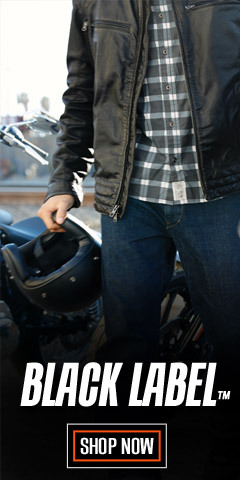 Authentic, and made with Harley® styling in mind, you will find all your favorite logos. Look for casual and dress shirts, long and short sleeve tee shirts, tanks and sleeveless shirts, hoodies and hooded sweatshirts, sweaters, and vests. Look sharp on your motorcycle or wear as an everyday fashion statement. 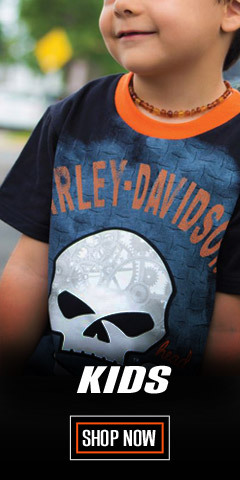 Harley® shirts are made from high quality 100% cotton fabric or blends. Our inventory has a large variety of styles, colors, and extended sizes. 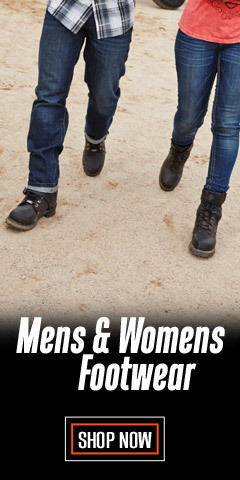 Wisconsin Harley-Davidson® has an international reputation for carrying the largest collection of men’s and women’s tops on the planet. Many of the tees have the famous Wisconsin Harley-Davidson® Bar & Shield® logo graphic, including our location in Harley’s® home state, Oconomowoc, WI. Be sure to check out both the front and the back of the shirt. 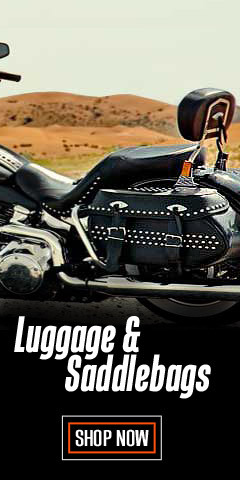 If you want choices, WisconsinHarley.com has them. Most of the dress long sleeve and short sleeve shirts are made by Harley-Davidson®, with styles and designs changing seasonally. Some of the most popular styles are held over for two or three years, sometimes even longer. Even so, you can expect fresh choices with each season. 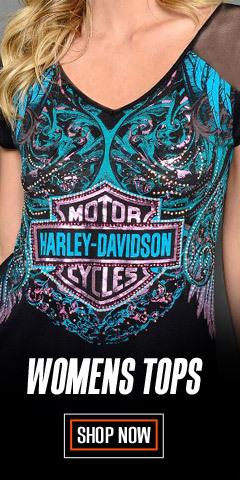 For tee shirts, Harley-Davidson® has also licensed Bravado® to make a plethora of T-shirts, mixing Harley® logos with cutting edge and avant-garde graphics that are sure to turn heads - for all the good reasons. For Harley’s® Screamin Eagle® Performance line of shirts and tees, Maingate®, a stalwart in high-quality apparel manufacturing, creates that emotional connection you want in your Screamin’ Eagle® attire. Shop WisconsinHarley.com for the largest collection of t-shirts that can be found in our solar system.